All new 3-CD set recorded live December 7, 1995 at Niagara Falls Convention Center in Niagara Falls, NY. December 1995 was a universally recognized high point for Phish. The band found themselves at Niagara Falls - straddling the border between the United States and Canada beside the fastest flowing, highest, most powerful waterfall in North America. "Niagara Falls" balanced Phish's bluegrass and barbershop quartet talents with a healthy dose of expansive improvisation, for which this era of Phish is renowned. The show featured standout playing throughout both sets to mirror the breadth and power of the setting near the Falls. Set I highlights included a hot combination of The Curtain > AC/DC Bag > Demand > Rift, a blazing first set Slave To The Traffic Light and a huge Possum. Among Set II highpoints were a legendary over-the-falls freakout of a Split Open And Melt opener, a fast and furious Reba with a soaring jam and an unusual ending that led to a deep swinging Julius. The set ended with a bone-crushing Mike's Song > Weekapaug Groove – one of just three times this combination was played without a third (or more) middle song(s). "Niagara Falls" was recorded by Paul Languedoc to 2-track DAT and mastered by Fred Kevorkian. Poor Heart (the slow version) from the soundcheck is included on the third disc. 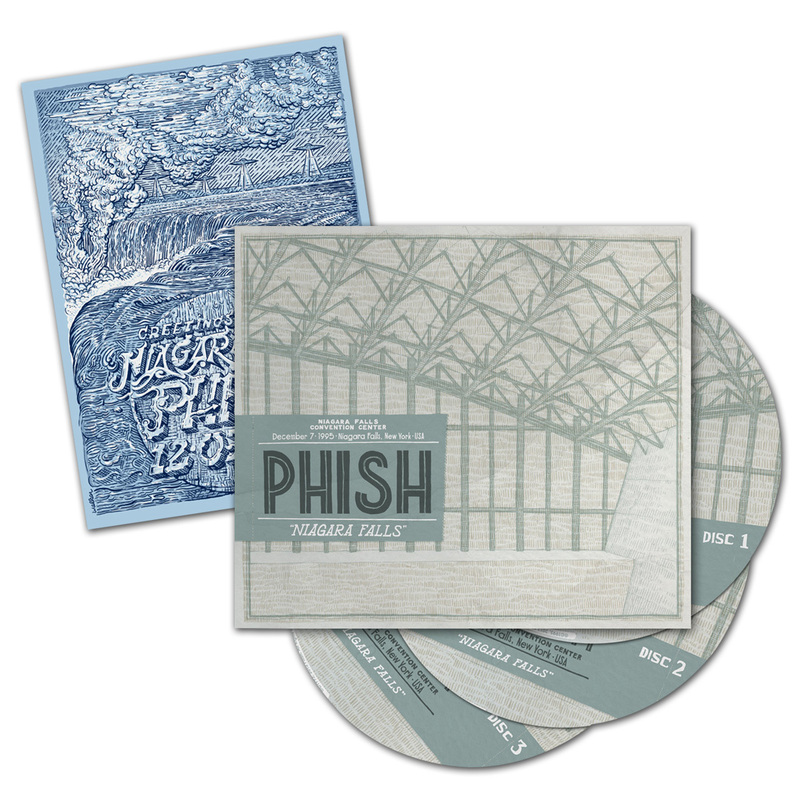 All CD sets come with a free set of MP3s of the entire show, as well as a unique code to access exclusive video content from this show. Excellent sound quality on these recordings. The band seems charged up so play it loud.